BiznextIndia : Public sector Manganese Ore miner MOIL ltd has fixed/revised prices of different grades of Manganese Ore and other products, effective from 1st April. The prices of Ferro Grade and Chemical grade have been increased by about 5% on the prices prevailing since 1st March, while prevailing prices of Silico Manganese Grade (SMGR 25% & SMGR 30%) and Fines have remained un-changed. Price discount of 10% on the prices effective from 01.03.2019 and also the existing bulk quantity discount ranging from 5% to 20% on the select grades of non-moving low grade manganese ore have been withdrawn. 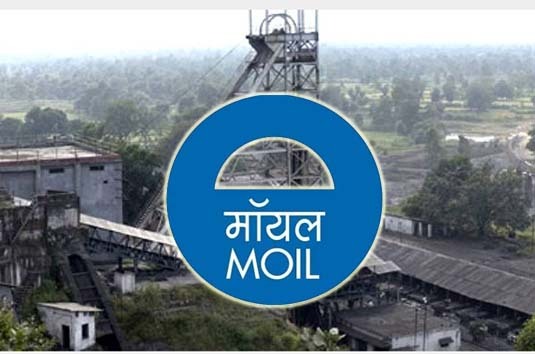 The basic price of Electrolytic Manganese Dioxide (EMD) has been increased by Rs.5,000 PMT on the existing price prevailing since 1st January 2019. Ferro Manganese/ Ferro Manganese Slag and some identified grades of Manganese Ore will continue to be sold on e-auction basis as well as through Metal Mandi (M3) of MSTC.